We follow former rule-breaker Leonard McGill as he's buffeted between the overlords of New York's underbelly, desperate to turn straight, but unable to say no to a nicely paid job. When we're introduced, he's calling in old favours and greasing NYPD palms to uncover seemingly harmless information for a high-paying client. But when the former schoolmates on his list are bludgeoned to death one by one, McGill realises that a friendly reunion wasn't quite what his taskmaster had in mind. And the awkward questions that follow seem almost welcome in comparison to a visit from Willie Sanderson, a trained killer and 'modern-day Frankenstein', now primed to ensure that McGill breathes his last. 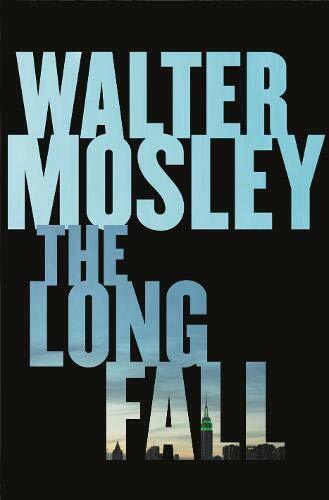 THE LONG FALL shows Walter Mosley at the height of his powers, breathing new life into American crime writing with sassy dialogue and unflinching social truths. Vividly capturing a city not nearly as cleaned up as its politicians would have us believe, this is new Mosley - and it's just as good as the vintage kind.